This Scrolled Solitaire Engagement Ring is a perfect for those that want a solitaire, but not with the ubiquitous plain band. 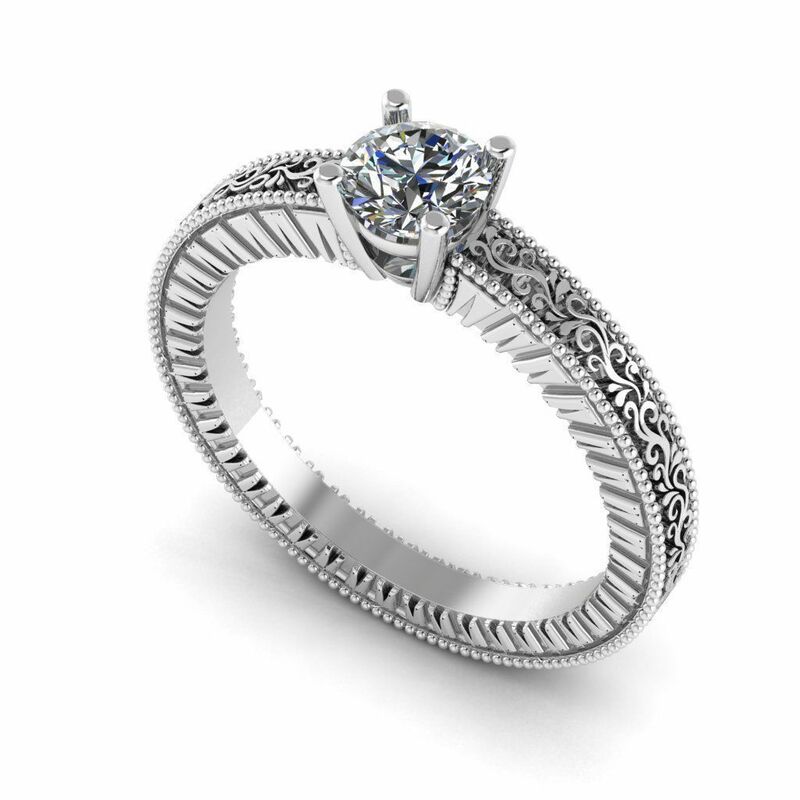 The top of the Scrolled Solitaire Engagement Ring is decorated with beautiful scrollwork that goes all the way around the ring. 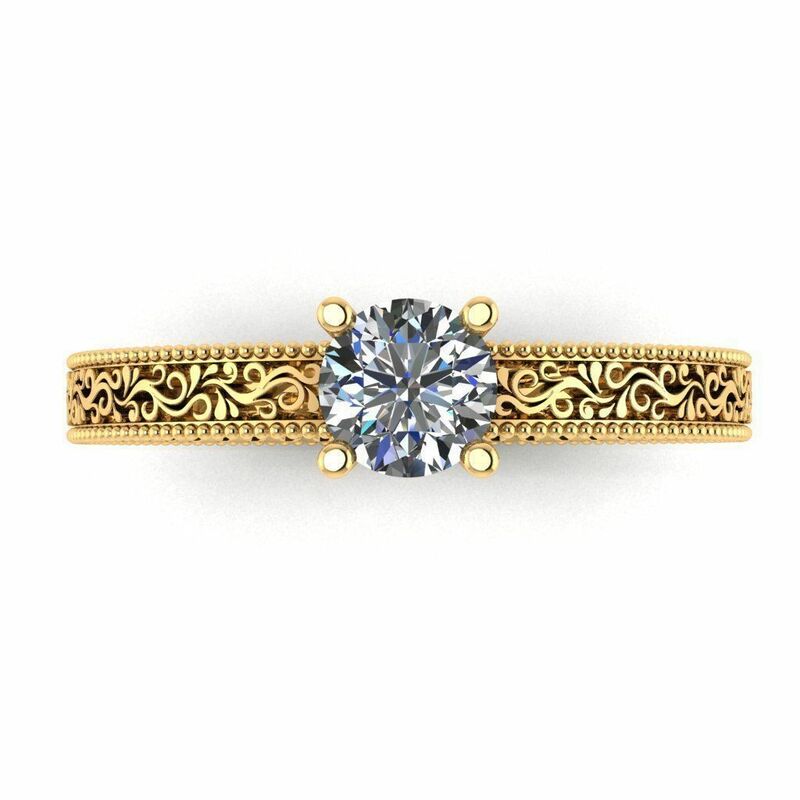 On the side of the ring is a rectangular scalloped design that adds another design element. This one has a 6mm center stone, but smaller or larger could be used. Almost any type of gemstone can be used. The listed price is for a Silver Ring with CZ or a lab colored stone. Click HERE to see another Scrolled Solitaire Engagement Ring. Do you have an idea for a Scrolled Solitaire Engagement Ring that you don’t see on our site? Send it over to us and we will see what we can do.